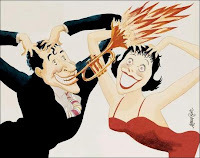 Louis Prima and Keely Smith do their thing on a Dinah Shore television special back in the 1950’s... long before President Barack Obama was born. So why is it then that they are singing O-bam-a? Or... are we just hearing things?